Utopia 12-Pack Cleaning Towels Just $12.74! Down From $43.99! You are here: Home / Great Deals / Amazon Deals / Utopia 12-Pack Cleaning Towels Just $12.74! Down From $43.99! Head over to Amazon to get this Utopia 12-Pack Cleaning Towels for just $12.74 down from $43.99 PLUS FREE shipping with Amazon Prime or for orders $25 and above! Whether you need your dished dried or you need to take care of accidental spills on your dinner tables, kitchen tops or even your bathroom countertops, these super absorbent and fluffy bar mop towels are ideal for any purpose. The Utopia 12-Pack Cleaning Towels are made of 100% cotton fabric, making them perfect for polished surfaces and your hands. They are also hypoallergenic and ideal for people with skin hypersensitivity! Set includes 12 kitchen bar mop cleaning towels in white. Woven with 100% ring spun cotton for kitchen, office, gym, restaurant, shop or multiple other uses. 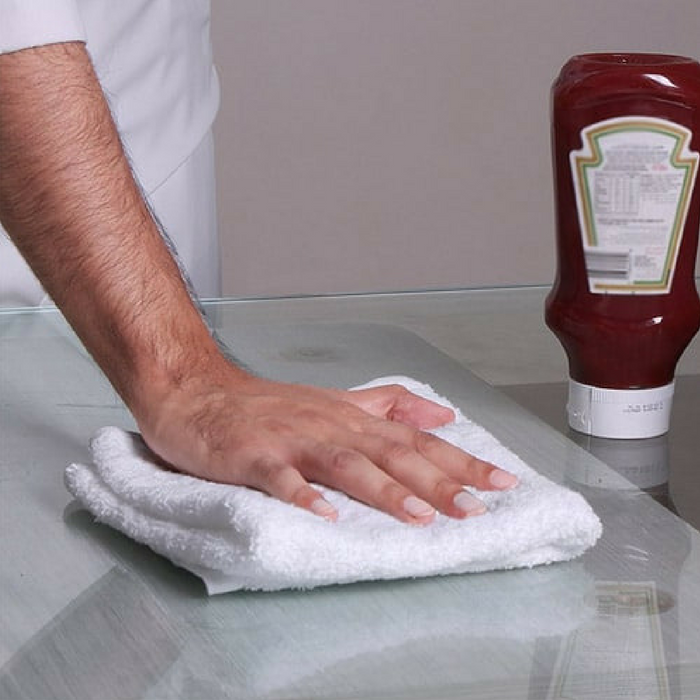 These lightweight and super absorbent towels are effective and efficient for any task. These towels dry quickly which prevents the risk of mildew and bacteria build up. Made from natural materials and free from harmful chemicals and synthetic materials, safe for you & your family.